It’s the best, most fantastic news on climate change for years, and you’ve probably not heard about it. Spain’s new Gemasolar power plant produced uninterrupted clean energy all day and all night for the first time on July 3. That’s 24 hours of zero emissions power, here and now. Gemasolar is a concentrated solar thermal power plant. 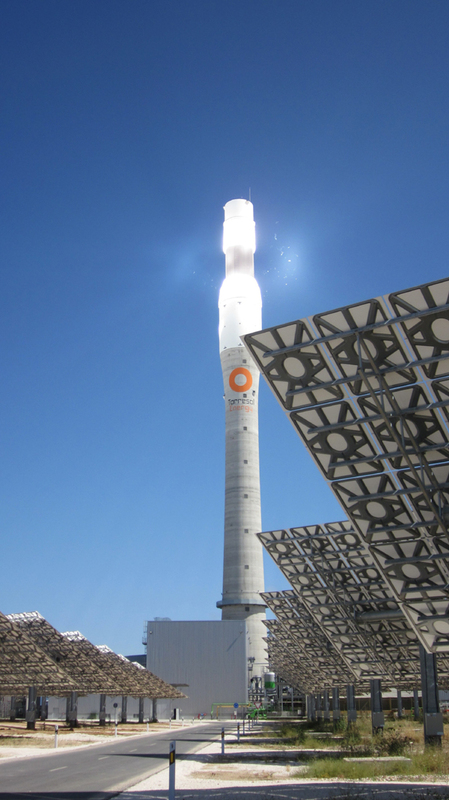 It uses a field of mirrors to concentrate solar radiation in a central power tower. What’s new about Gemasolar is that the plant can store solar energy for up to 15 hours. That’s baseload renewable energy, supplied all through the night. Even better, unlike coal or nuclear plants solar thermal power is dispatchable: it can be used to meet peaks in energy use. Baseload or peakload — solar thermal can do both. Solar thermal power is expensive. But the costs will come down sharply once more plants are built. Australia has the some of the best conditions for solar power in the world. If Australia were to roll out solar thermal power on a large scale, it would bring the costs down fast here and around the world. This would be a great help to the global effort to halt climate change. But in financial terms, concentrated solar thermal power is the smart move. Once it is in place, there are no more fuel costs —ever. Oil, gas and coal prices are all forecast to rise sharply in coming decades. In time, a solar powered Australia will save us billions of dollars each year, money which otherwise would be spent paying for dirty fossil fuels. Solar thermal power is the economic gift that keeps on giving. Detractors of renewable energy are fond of saying that Australia cannot rely on renewable energy because the sun doesn’t shine at night and the wind doesn’t blow all the time. But the sun is always shining somewhere, and the wind is always blowing somewhere. By building solar thermal plants and wind farms in strategic points across the country, Australia could be powered with 100% renewable energy. Solar thermal technology is commercially available. It’s ready to go. More investment and research will refine and improve it. It makes coal and gas-fired power obsolete, in the same way the advent of the internal combustion engine made the horse-drawn carriage obsolete. But the Australian government is not investing in any solar thermal plants that can store energy. It’s committed to burning fossil fuels, which will cook the planet. The problem is that the government is more afraid of the fossil fuel and mining companies that it is afraid of its people. The mining industry brought down former Prime Minister Kevin Rudd. That’s real power, and they know it. Until that equation is changed, and the government is made to fear its people, we won’t get 24-hour solar power in Australia. But don’t let anyone tell you there is no alternative to fossil fuels or nuclear energy. There is. Solar thermal is a key part of the answer to climate change and its ready to go. Sounds like a great idea, its a pity its so expensive, but at least it works when its needed unlike some other renewables. Like most things hopefully the costs will come down. 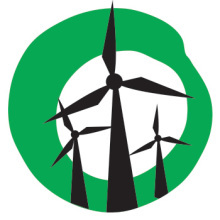 Re the cost: currently it’s up there with nuclear as one of the most expensive ways to generate power – but US Department of Energy modeling indicates that by the time 8GW of worldwide capacity is installed, the cost will be competitive with coal + carbon price. It has a steep cost reduction curve. Yes, great to see another step toward large-scale solar thermal power. I tend to concentrate on wind, because it’s more ‘here and now’, but solar has more ‘scalability’. (As covered in an article by Prof. Derek Abbott of Adelaide Uni.) And solar thermal has the capacity for a considerable amount of energy storage.